Should Candidates Use Personal Tragedies To Get Votes? 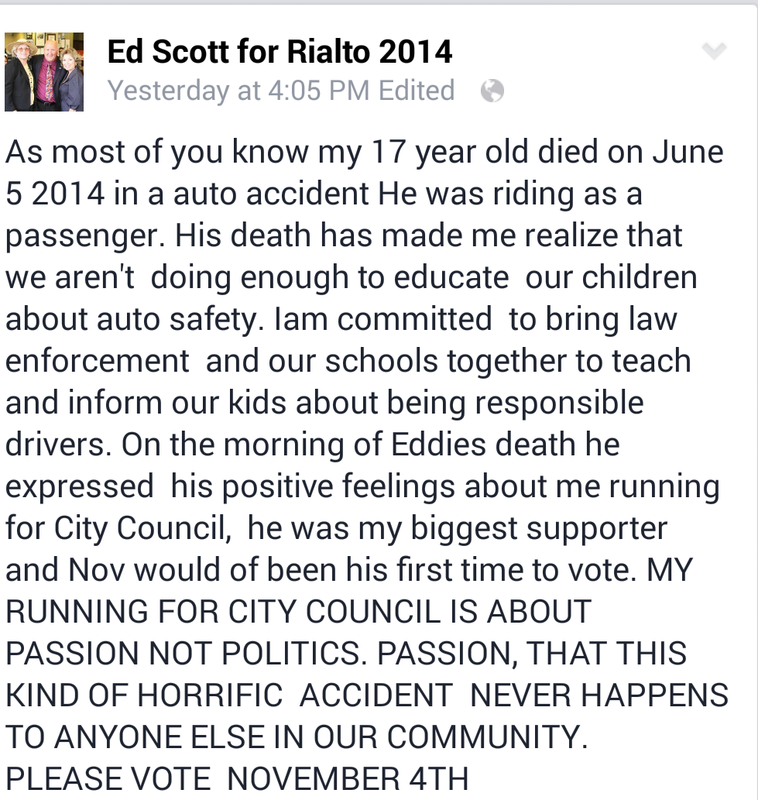 So it all began with a post on his facebook page then the mailer, Ed Scott appears to be ok with using his son’s death to win the city council election. First off let me be the first to say it’s been nice not having the bully of Rialto on city council. Heck he hasn’t even inserted himself into the area of politics since his departure almost 2 years ago when the voters choose Deborah Robertson for mayor over Ed Scott. He did pop his head out looking to seek the appointed position that was given to Lynn Hirtz but since then the only thing to come from him is sports and work at his bar. 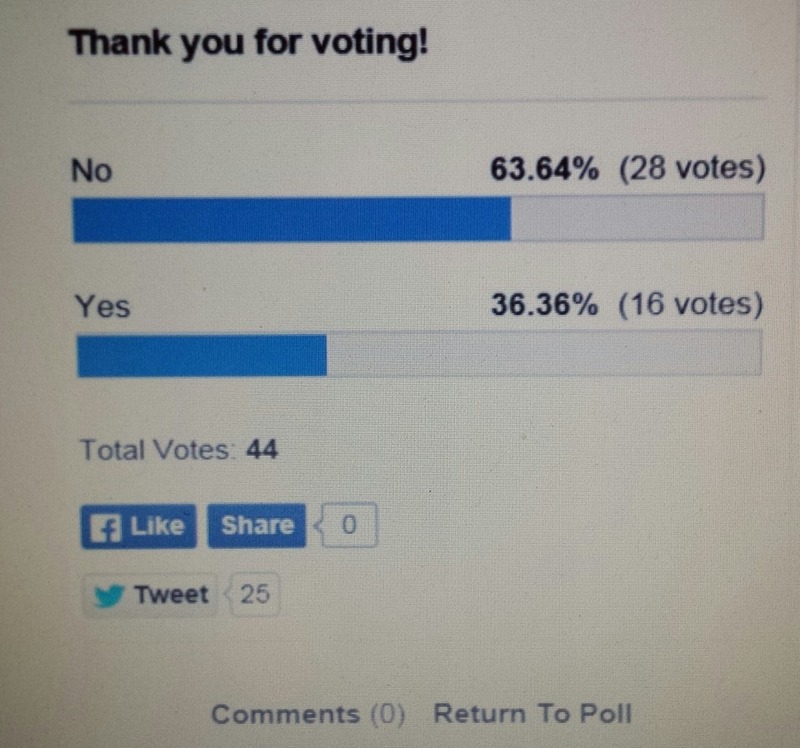 Now let me reassure everyone that the School District, Rialto Police & Fire, City of Rialto & The Rialto Community Coalition have been working very hard to deal with this very issue. Now I’m not sure if this made a difference but once Ed Scott Was exited from local politics all of the walls began crashing down. The Rialto Community Coalition held its first public call to action event “Don’t Go There” at Eisenhower High School, City Council Members began to engage with our local prevention and advocacy programs, School District and Rialto City have found new innovative ways to begin working together. Heck even retail development came on like a flood starting with In & Out (pushed to completion by the community not city council). Now we have a Wing Stop, Jersey Mikes, Chipotle, Coffee Bean & Tea Leaf and Pieology coming to Rialto. So were looking for your thoughts after everything that Ed Scott has put Rialto through are we really willing to give him a second chance to bully and take advantage of Rialto? I feel sorry for the Scott Family for their loss no parent should ever outlive their child but is that alone reason enough to give him elected power once again?